Nugent Welch was born in Akaroa, while his father surveying there. While he studied for a short time at Canterbury School of Art, and later the Wellington Technical School, Nugent was largely self-taught. He served in World War 1, 1914-1918 as an official war artist with the NZ Expeditionary Force. 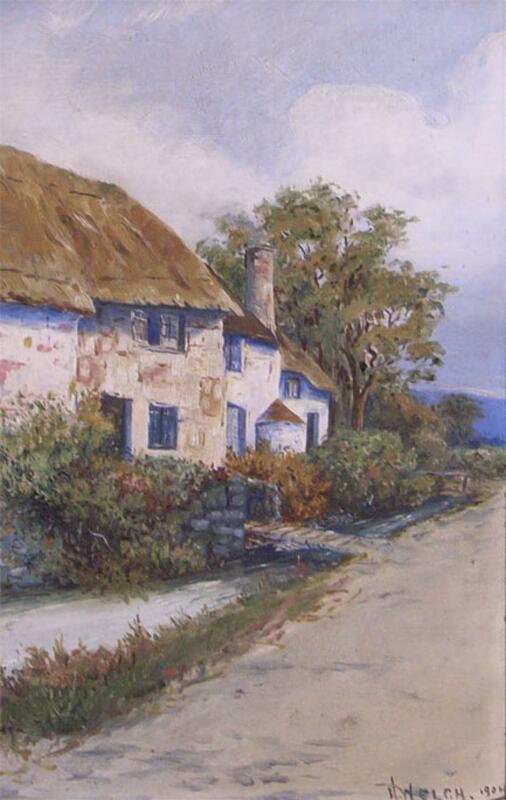 Later on, he became well known as a leading Wellington 'plein air' artist , with particular attention to atmospheric weather effects, and was one of the Silverstream School led by J. Nairn. Nugent exhibited in the NZ Academy of Fine Arts (Wellington) 1904-1935 and ASA 1913-1915. He is represented in the major New Zealand galleries.